Sustainable travel has always been an important part of us here at Journey Mexico. We think this goes beyond environmental responsibility and conservation efforts—as important as these are. Practices that favor local communities are important for a well-rounded idea of responsible travel. It is great when we hear about an initiative that, like us, sees local communities as an essential part of places we love to visit. Enter K’iin Beh, Rosewood Mayakoba’s Educational Center. 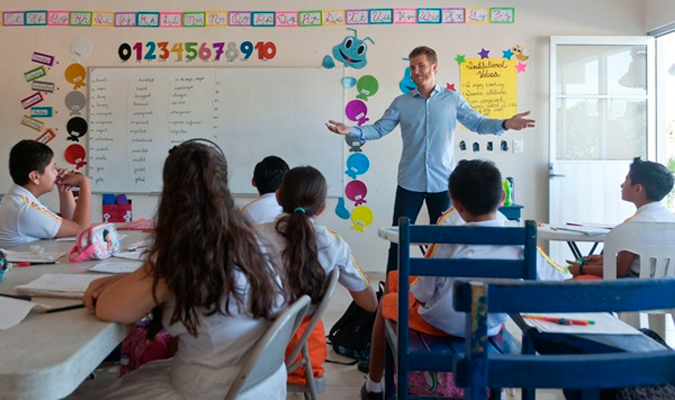 Rosewood Mayakoba celebrated the opening of Centro Educativo K’iin Beh at the start of the current school year. 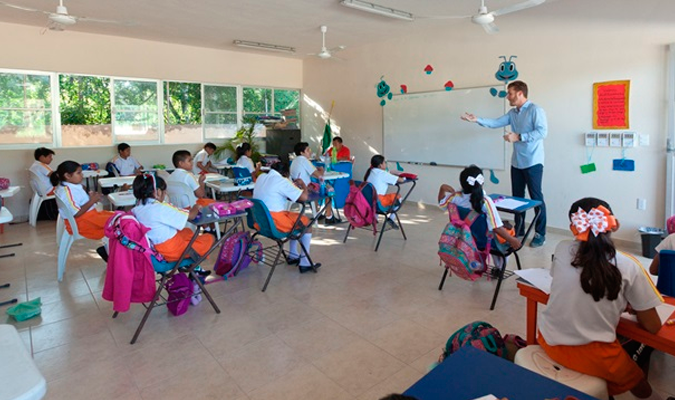 K’iin Beh—which means “towards the sun” in Mayan—is a newly built bilingual school established for local children and the children of the resort’s employees. Under the leadership of Principal Raquel Mitre, the school offers full time, bilingual education for over 200 students in elementary and middle school. Thanks to its scholarship-based enrollment, K’iin Beh is accepting students from all economic backgrounds. The construction of K’iin Beh’s new facilities was funded by friends and family of Rosewood Mayakoba and the support from local businesses and friends. But help—in different shapes— is always welcome. Travelers interested in voluntourism are welcome. 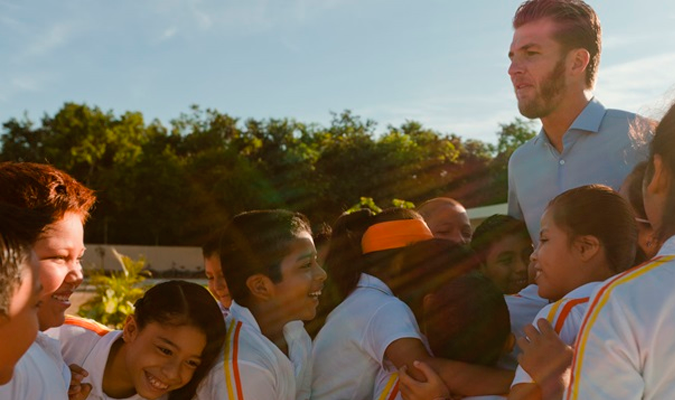 Be it individuals or groups, they can practice sustainable travel and contribute to Rosewood Mayakoba’s Educational Center in a number of ways. These include providing school supplies, financial donations, or touring and volunteering at the school for hands-on projects with the children. Volunteering at K’iin Beh is also a great idea when traveling with your family. Getting everyone involved will be a bonding experience that teaches the importance of giving back to the people and places that welcome us. Staying at a lavish Villa Residence with Rosewood Mayakoba and Villas by Journey Mexico is a fantastic option for families. With two and three-bedroom options on offer, each villa is designed to create an earthly paradise for your Riviera Maya vacation.